With the latest notable update to Pokémon GO last week, we were able to take a peek behind the scenes to see what Niantic is working on for future updates of Pokémon GO. Aside from all the Gen2 hype, all signs seem to indicate that they will be making changes to the movesets of some of our favorite Gen1 Pokémon that already exist in-game. Among the moves that have been added to the game code, there are some moves that cannot be learned by any Gen2 Pokémon. If Niantic continues their current pattern, Pokémon in GO will only be able to learn moves that they currently can in the main-series games. This means that some of these moves are intended for a Gen1 moveset rework. Here are all of the Pokémon that could potentially receive new moves: Venusaur, Charizard, Blastoise, Butterfree, Beedrill, Pidgeot, Raticate, Fearow, Arbok, Raichu, Sandslash, Nidoqueen, Nidoking, Clefable, Wigglytuff, Ninetales, Golbat, Vileplume, Parasect, Venomoth, Dugtrio, Persian, Golduck, Primeape, Arcanine, Poliwrath, Alakazam, Machamp, Victreebel, Tentacruel, Golem, Rapidash, Slowbro, Magneton, Farfetch’d, Dodrio, Dewgong, Muk, Cloyster, Gengar, Onix, Hypno, Kingler, Electrode, Exeggutor, Marowak, Hitmonlee, Hitmonchan, Lickitung, Weezing, Rhydon, Chansey, Tangela, Kangaskhan, Seadra, Seaking, Starmie, Mr. Mime, Scyther, Jynx, Electabuzz, Magmar, Pinsir, Tauros, Gyarados, Lapras, Vaporeon, Jolteon, Flareon, Porygon, Omastar, Kabutops, Aerodactyl, Snorlax, and Dragonite. But more important than which Pokémon can learn new moves, might be which types of moves that they are. Generation 2 approaches, and with it comes a new king. 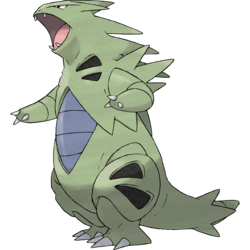 Tyranitar will be the most powerful (non-legendary) Pokémon in the game, with a maximum CP of 3,670, which outranks the current leader of the pack, Dragonite. It is going to become crucial to be able to take this guy down, and it won’t be easy with his seven type-resistances. But Tyranitar has one major counter: Fighting. Both of Tyranitar’s types (Rock and Dark) are weak to Fighting-type moves, which gives him a double-weakness in battle. However, there just isn’t a lot to work with right now as far as Fighting types go. 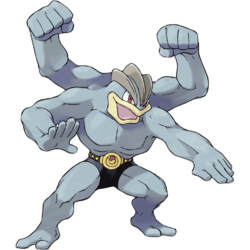 The most powerful Fighting-type Pokémon is Machamp, and I was lucky enough to get one with the best moveset currently possible. This includes the most efficient move in the game, the charge move Cross Chop. 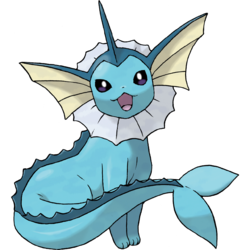 But his best quick attack, Karate Chop, is the least effective quick move in the game aside from Magikarp’s splash. In my experience, since most time fighting is spent using quick moves, this has led to Machamp being a very underwhelming fighter. Recent signs show that Niantic may try to remedy this imbalance. They have done so multiple times already in the short history of this game, adjusting move and base stat calculations, trying to find a balance where as many Pokémon as possible are viable in battle. This is why I am waiting before I evolve my next Machoke. Machamp, Hitmonchan, and Primeape can all learn the quick move Counter, which was discovered to be newly added to the game code. Perhaps this could be the strong quick move that Fighting types are currently lacking. Also, there are a bunch of new Fighting charge moves. Primeape, Poliwrath, Machamp, Hitmonlee, and Hitmonchan can all learn the new charge move Focus Blast. But the new move Close Combat might even be more powerful, and it can be learned by Primeape, Hitmonlee, Hitmonchan, and Machamp. Poliwrath and Machamp can also learn Dynamic Punch on top of it all. Probably most exciting is the chance to have more same-type-attack-bonus quick moves, since that is generally how Pokemon deal out the most damage. In addition to the fighting moves already mentioned above, we’re also getting awesome additions in the useful Electric and Grass types. Raichu, Magneton, Electrode, Electabuzz, and Jolteon all might be able to learn the new moves Charge Beam or Volt Switch. And a bunch of Grass-types might get some much-needed love with Venusaur, Vileplume, Parasect, Tangela, and Exeggutor all able to learn the new move Bullet Seed. 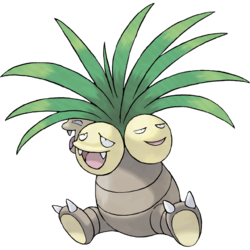 (Exeggutor might also learn a new Psychic move called Extrasensory, as well.) These new Electric and Grass quick moves will prove invaluable at taking out the extremely common gym defender Vaporeon. We will also see some love for my favorite type of Pokemon, as Beedrill, Venomoth, Butterfree, Parasect, Pinsir, and Scyther all might be able to learn the new move Struggle Bug. Butterfree and Beedrill and Venomoth will also be able to learn Infestation, which could be an impressive move. Don’t forget, bugs are double-super-effective against those Exeggutors that you see in gyms, so whip out those Pinsirs. (Pinsir is totally underrated. It has a higher CP than any of the three final-starter-evolutions.) Also, if you prefer your Exeggutors burnt to a crisp rather than eaten alive, a big group of Fire types may be receiving the move Fire Spin: Charizard, Ninetales, Rapidash, Magmar, Flareon, and Arcanine. Another group that can take down those Exeggutors (in addition to Machamp and other Fighting types) is the Flying types who can learn the new move Air Slash: Butterfree, Scyther, Charizard, Pidgeot, Golbat, and Farfetch’d. That’s almost it for STAB quick moves. The only stragglers are Jynx, who will be able to learn another Ice type quick move called Powder Snow. Ice moves are key because Dragonite has a double weakness to them. Speaking of Dragonite, they will add another solid move to their repertoire with a Dragon Tail quick move, and Gengar may learn a new quick move called Hex. 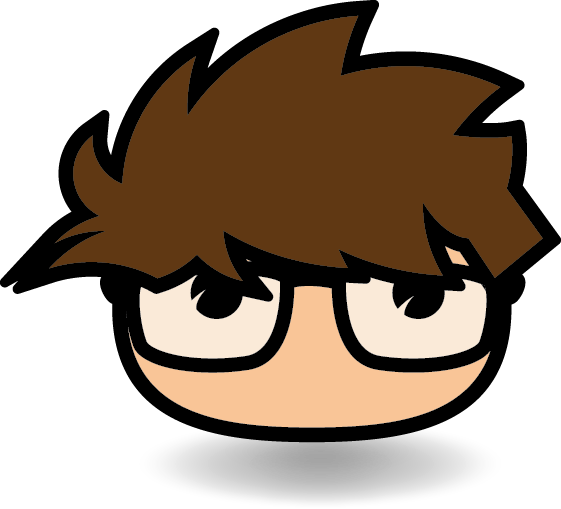 If you’re interested in learning more about which Pokemon might end up learning new moves, you can check out the spreadsheet that Nick from Trainer Tips made about it.